What the Rich Teach Their Kids about Money – That the Poor and the Middle Class Do Not! Rich Dad, Poor Dad (1997) combines autobiography with personal advice to outline the steps to becoming financially independent and wealthy. 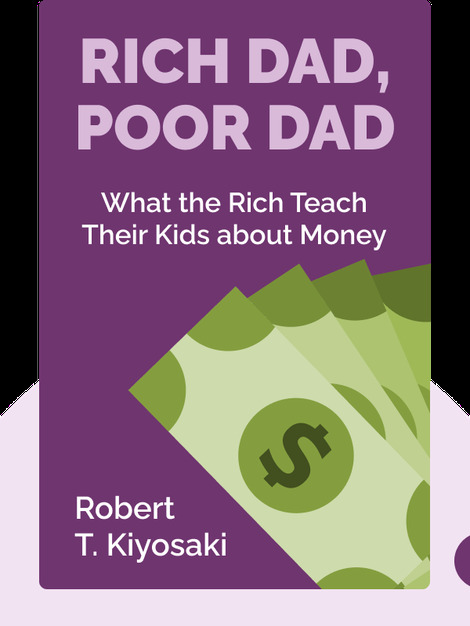 The author argues that what he teaches in this New York Times bestseller are things we’re never taught in society, and that what the upper-class passes on to its children is the necessary knowledge for getting (and staying) rich. He cites his highly successful career as an investor and his retirement at the early age of 47 as evidence in support of his claims. Robert Kiyosaki is an investor and entrepreneur with an estimated net worth of over $80 million. 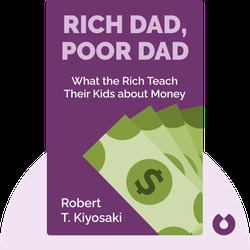 His Rich Dad brand has published more than 15 financial self-help books, which have sold over 26 million copies worldwide.